On The steel Breeze chapter 1 Online! For those readers who enjoyed ‘Blue Remembered Earth’ from Alastair Reynolds last can now read the first chapter of his upcoming novel ‘On The Steel Breeze’. This latest novel is a sequel to last years and the second in a planned trilogy called Poseidon’s Children. Though last years ‘Blue Remembered Earth’ was not without it flaws I do belief that I have maligned a bit too much in my review, so better not search for it then. ‘On The Steel Breeze’ will be released September 29th. An epic vision of our journey into deep space. Hundreds of years from now mankind will finally inherit the stars. A fleet of holoships is heading towards the nearest habitable planet at 15% the speed of light. In massive asteroids turned into ships, tens of millions of people are heading towards a new home. A home that bears signs of an ancient alien civilization. To read the first chapter, just click on the link. Chapter 1. For those who are a bit foggy about events from ‘Blue Remembered Earth’, it followed brother and sister Geoffrey and Sunday Akinya who are members of a powerful African corporation as they try to uncover the legacy of their grandmother Eunice. By the end of the novel it is alluded that Eunice is still very much alive and departed on a alien spaceship that had traveled through the solar system. On The Steel Breeze pretty much takes of where the previous novel left off. 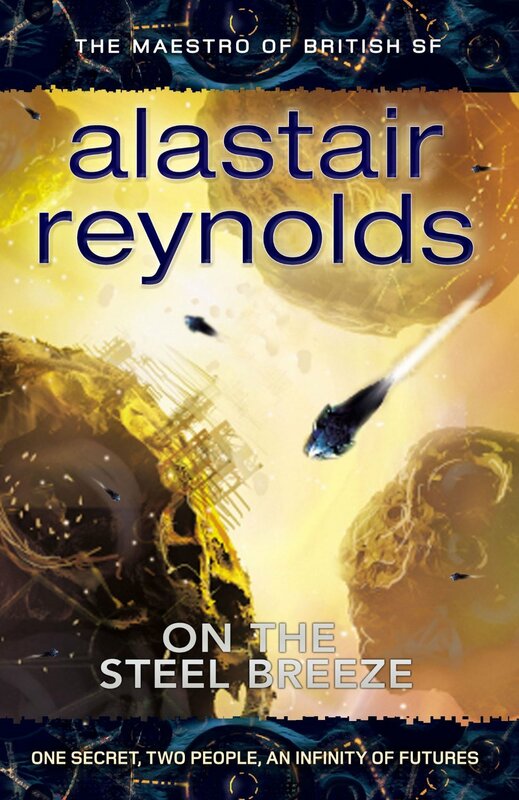 ‘On The Steel Breeze’ cover of next Alastair Reynolds novel revealed! Next story Roland Emmerich rebooting Stargate! Previous story Star Trek Into Darkness available on iTunes!